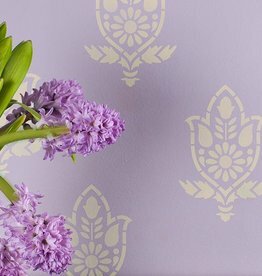 Inspired by an African tribal design, the Elsabet Trellis Stencil could be the perfect pattern for your next home stenciling project. 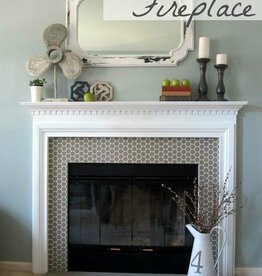 It has a Mid-Century vibe that makes it perfect for modern interiors. 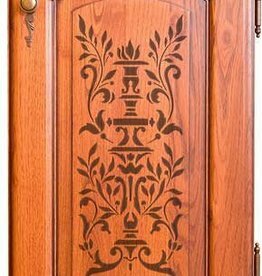 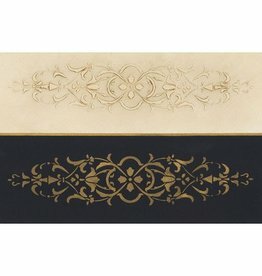 Our Italian design of the Fleur Classic Panel Stencils pattern that is perfectly sized for adding an artisan detail to furniture and cabinet panels and more. 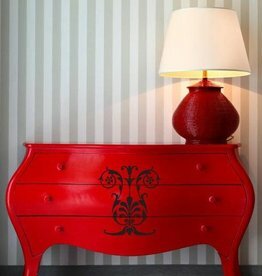 Decorate your home decor with classical Greek designs. 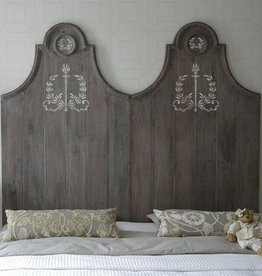 The Torch Garland Classic Motif Furniture Stencils adds a beautiful Grecian touch of pattern to painted furniture and bedroom headboards. 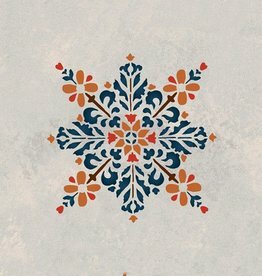 Embroidered Star Moroccan Stencils Stencil Design Size: 6w x 6h Single overlay, reusable. 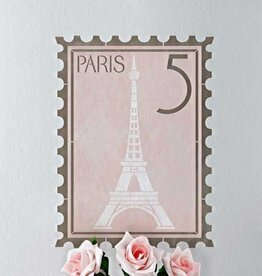 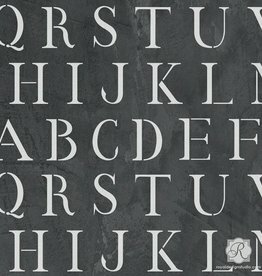 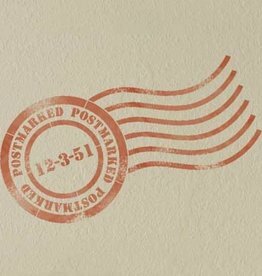 Our Paris Postage Stamp Wall Stencil is a conversation starting single element wall stencil that can look either vintage or modern. 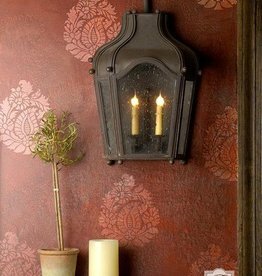 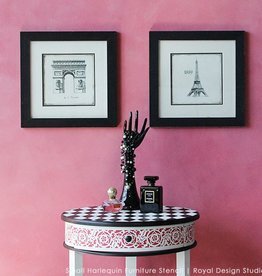 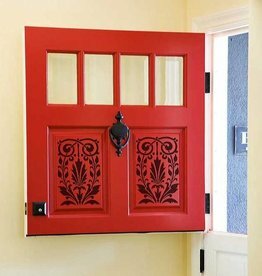 The Parisian Urn Classic Panel Stencil is perfectly sized for stenciling furniture and cabinet panels. 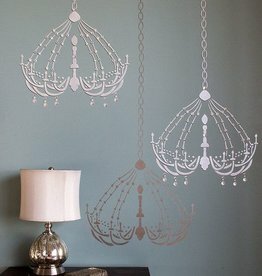 An elegant crown stencil that is fit for a Queen! 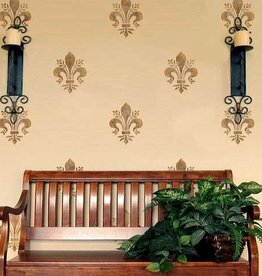 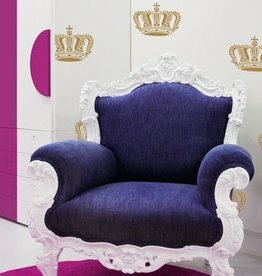 Perfect for adding the "Royal" touch to an accent wall, furniture,and craft stencil projects. 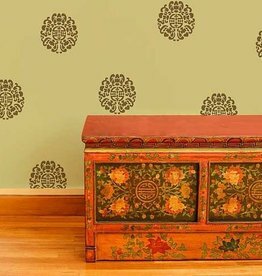 Representing divinity, purity, and beauty in Indian culture, our small Annapakshi Indian Damask Furniture Stencil will turn your chosen space into a divine sanctuary. 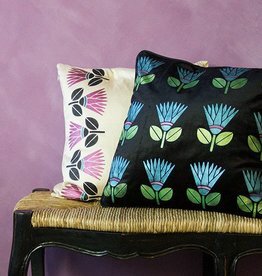 Ideal for smaller allover wall projects or accents such as pillows and furniture. 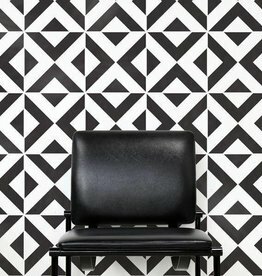 A great graphic, geometric stencil pattern that can be used for both modern or retro design. 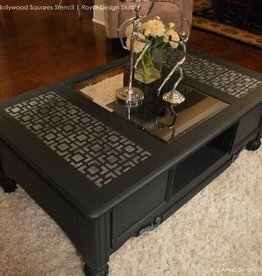 Add a retro or modern design to your DIY projects or arts and crafts with our Hollywood Squares Craft Stencil! 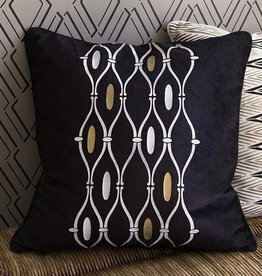 This geometric square pattern wall art stencil is perfectly sized for craft, fabric and furniture. 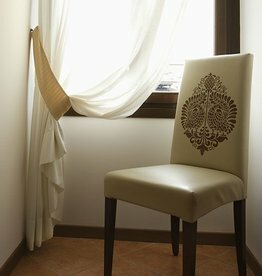 Our MIcah Theorem Classic Panel Stencils create a fab embossed leather look. 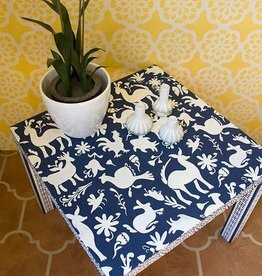 Our Otomi Folk Art Craft Stencil is inspired by the richly embroidered textiles of the Mexican design of the Otomi people. 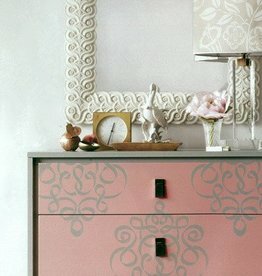 This playful animal stencil is a great size for stenciling arts and crafts projects or any small piece of furniture.